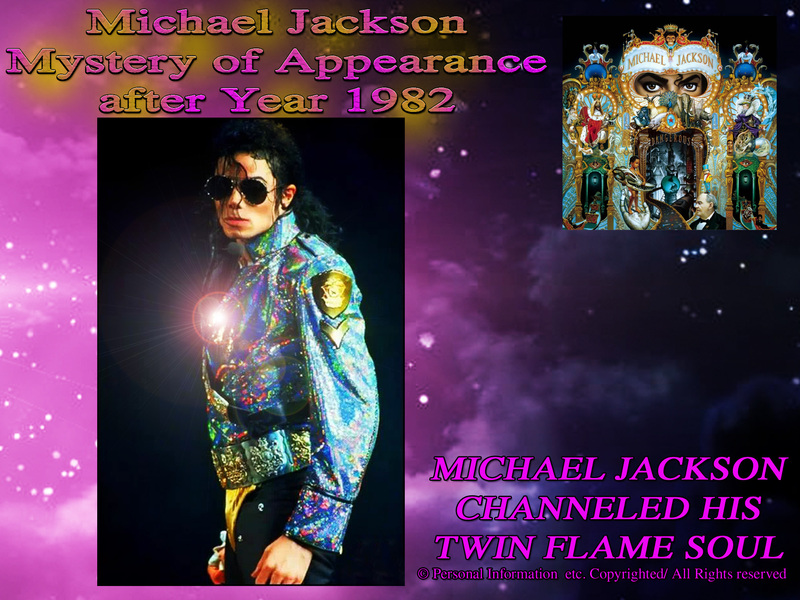 Here comes our follow-up article to TWIN FLAMES REUNITED, which we had posted yesterday, and the Official Michael Jackson Metamorphosis Story Introduction, which is a Basic for the Film Documentary we are planning to make. 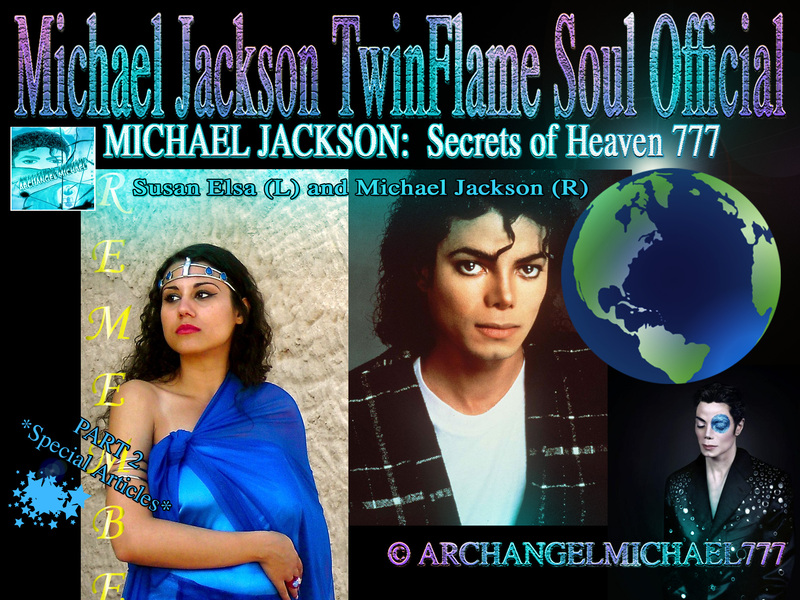 This is, again, a complete freestyle, free-flow channeled Article together with Michael Jackson (Archangel Michael), in Spirit, sitting right next to me guiding what I am typing here. Sometimes we pause as he makes a joke, then he says, “no don´t say this publicly, say that, this is funny…”, and tells me precisely how to word things, makes comments, or dictates full text blocks and I just type what he says. Or then he explains things, and then guides me in typing and wording it so it´s very clearly understandable, like an editor, live. It´s fun to work this way with Michael, and God can really make all things possible and I am very thankful. Michael wants to give more details now, practical and applicable, for Twin Flames approaching Reunion, and, for Twin Flames that seek to reunite with their other Half and want to actively work on the Reunion process, aware and conscious. That is very good focus, if you want to reunite sooner than later and now is a very unique Planetary opportunity, an ENERGY GATE WAY for all Souls that supports a sooner and faster Reunion with your Twin Flames in SPIRIT, while you are on Earth. This automatically helps facilitate Heaven on Earth, as then the Counterpart on Earth channels Divine Heavenly Energies into the Planet and the more that do this, the faster and sooner the whole Planet will heal and be uplifted into this Eternal Love Vibes and Positive Peaceful Societies. It is in some aspects easier than you might think, and in other aspects more challenging than you might think. Like the title says, your own Soul in form of TWIN ASPECTS INSIDE OF YOU, is what this is. And yes, your other Half, the masculine part within YOUR COMPLETE SOUL, can be met in another Body in physical Incarnation, like I met Michael Jackson, but you can also open up communication channels between you and your other Half in the Spiritual Realms- Unborn. Once you understand this Concept, you automatically realize a first important step: If you want to approach any Reunion with your Twin Soul, you have to view this as a “re-membering and completing your own inner Self of your eternal Soul Consciousness”. You have to reflect in your own Mirror, about your Life, your Mistakes, your Good Deeds, your Emotions, your most core inner Truth and FIND YOURSELF, to begin consciousness merging with your Twin Flame in Spirit. This is a good sign, if you already are naturally doing that and living this way, regarding your “emotional intelligence” how some Scientists would name that probably. Let me reassure you also, that it can be very challenging, and one might have to “work through a lot of emotional baggage and self critique” and all that, but that is a sign of healing and really good actually. It means, you are actively working on YOUR SOUL EVOLUTION. You see, this is a necessary part of what the Soul has to do anyways, nobody can run away from their SOUL CONSCIOUSNESS MIRROR, where all truth becomes visible. When People walk into Heaven, many experience this Mirror Gateway that is part of the Entrance of the Heavenly Spheres, very beautiful Worlds actually. And in this Mirror, they see themselves “perfected and rejuvenated” like they never “looked this good in earthly Life”. That is because the BODY OF LIGHT is perfect and knows no injuries, pimples, skin problems, aging, or wrinkles and all that. And it emanates a diamond-like light, as if your skin has diamond particles, and it does not matter how you appear “skin color wise”, it is a choice, a visual artistic soul expression you could say. Michael likes to appear as a Black Man, and most souls look closest in the Light Body to their earthly Self around the Age of 27-33. 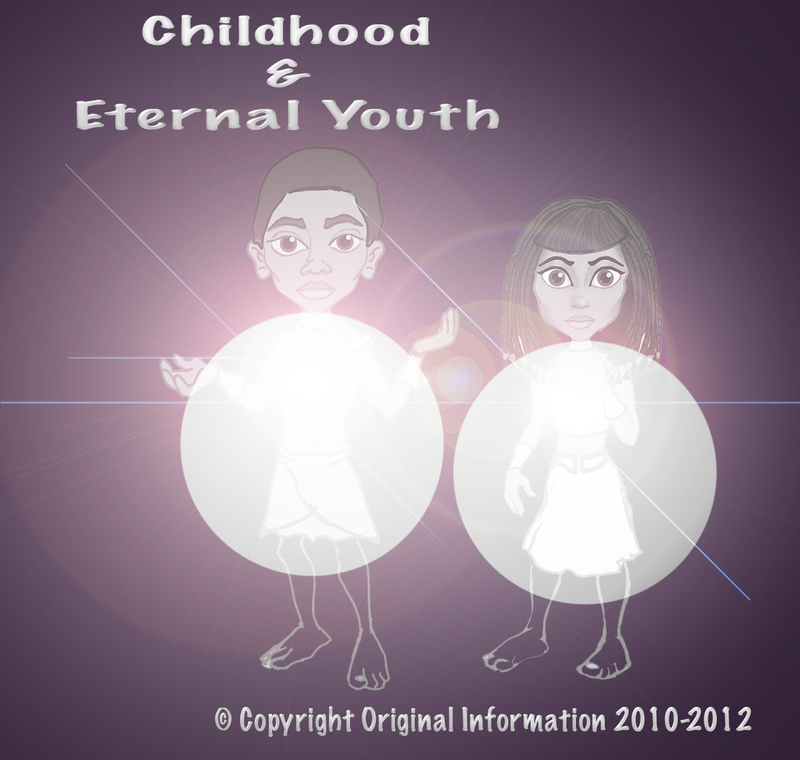 That is a very good age information to compare earthly Appearance, to the Appearance of the Spiritual Body of Light. Okay, so in the case of true soul sciences, here is an aspect many do not realize maybe in this form and intensity today. When A soul lives in different dimensions, in different forms, and with different life stories (experiences)- all those “temporary identities” remain in the eternal soul memory. So, Michael is now in his BODY OF LIGHT, and he can morph at will into any form he likes of his past life incarnations, such as when he was Osiris in ancient Egypt. He can show me by transforming and taking on the look of how he looked like as Osiris, or he can show me some incarnation he had as an Asian guy, or a white Guy in a time when Druids still lived and in the Area of Ireland/Scotland/Great Britain, in a past life too. That is the fun part, and you can imagine, many people wondering “how does my twin soul look like?”. I had someone ask me online before, and me and Michael channeled a drawing, a sketch of her twin soul, to give her an idea. That is the SOUL IDENTITY. Then, the temporary many experiences make it possible for the soul to be flexible, and be able to take on at will, any appearance again of those past lives or different life forms and experiences. But of course, this is only THE TO DIVINE LAWS TUNED IN, GOOD ASPECTS. The bad ones are healed away and do never remain in eternal Soul Memory, as there is NO DUALITY. Not all Dimensions and Forms of Life of the Soul are like this Earth, and have “good and bad”. Some Dimensions, do not even contain any Duality, can you even imagine that? Be honest. Try to imagine it, and it will make you realize how much we still have to learn and evolve, and WHY we yet need duality experiences to learn all this and master it as far as to be able to even BEGIN to imagine a ONENESS DIMENSIONS WITHOUT DUALITY, ONLY LIGHT AND LOVE. A friend of mine, that Michael have led into conscious Contact with her Twin Soul, told me that she “has dreams of her twin looking different at times but its still him and feels like him”. She found it confusing. I told her then about this, and that it is normal and he is “showing her different aspects of his full soul identity and experiences and all the different faces maybe from their past lives together to help her remember”. If he also never had in her lifetime now, an embodiment here too, a human identity, how can she image his “looks in an earthly way”, because she really is visual and said she needed to know that. But in Spiritual realms, this is how it looks like: The Body of Light has a certain Appearance, an eternal true Soul Identity. In Michael Jackson´s case this is the Archangel Michael himself, his true Soul Identity. But, he also was incarnated as Michael Jackson, as Osiris, and few others on this Planet, and all those Experiences, Identities, Life Experiences and Good Memories, Skills, remain in his Archangel Michael Over-Soul Identity and eternal Memory. Then she understood and was fascinated to see what her Twin Soul will show her more. It also all confirms to me the Twin Flame Experiences, and proves very incredibly how strong Michael is, he just is really able in precise and showing ways to reunite Twin Souls consciously if they are open and ready for it. Archangel Michael is KNOWN to be the Protector of Twin Flames and also a great Guide and Teacher for Twin Flames, so call on his spiritual support anytime regarding your Twin Soul Reunion. Michael will now dictate to me a great way to open up directly communicating with your twin flame in spirit. That is much easier than communicating with any other soul on spiritual realms, such as loved Ones that passed and so forth, but a good training to later also be able to see, hear and communicate fluently with your loved Ones and Angels and every Being of Light in the spiritual Realms as well. Take a pen and paper and put on some relaxing, soothing Music, that makes you feel good and reflective inside, and inspires you to “daydream”, and relax. Take five minutes the time first, to just empty your thoughts from any daily stress, things you have to do and chores, homework, all that, and just do not think anything. Focus on your breathing, calm it, breathe conscious and deep. Relax your mind. Now, very important, take another 5 Minutes to just focus on visualizing as best as you can bright white light around your whole Body, your Aura filled with Light, your Heart Chakra like a Sun expanding in Light and you and all of you being within a BUBBLE OF LIGHT/AURA OF LIGHT, absolutely shielded. Now, ask yourself whatever comes to mind, what did you feel, what desire you feel about your twin soul, how do you imagine the perfect partner, how do you think and feel about YOURSELF? Write it down, then just write it as if it is a Question, and let your hand keep going. Just write the answer part, WITHOUT ANY THINKING. Let your twin soul answer, tell him/her to channel the reply to the Question, prior. When you do this, just write, do not pause or stop. You can take breaks, and breathe, focus on your heart light again and relax your mind. But once writing, do not pause after writing the Question- immediately just continue writing whatever comes to mind! Then, read back on what you wrote. This is called “automatic writing” by some and is a good training to start consciously communicating with your own Soul, in which the Twin Soul is. It is as simple as that. In the beginning, if the answers make no sense and you do not sense your twin soul channeling like your hand automatically writes, then you need more training until “it clicks and your soul tunes in”. It s a progress, like sports, you work out and then your muscles grow. What me and Michael Jackson are demonstrating in public, as part of our Spiritual Twin Soul Mission on Earth, the Life Purpose of the Soul- that so-called BLUE PRINT OF THE SOUL, is an EXAMPLE to show you in real life, in real applied Experience, how much you can evolve. When I was living in Los Angeles, I had this channeled writing happen naturally and suddenly, while in Class writing down what the Professor is saying. Honestly now, and I do not mean that personal about any teaching Professor, but sometimes I would get bored and feel like I understand what he is speaking about anyways, and then just go into my thoughts and think about Projects and other creative Ideas. I would then, feel my hand wanting to write but not knowing what, and just let this energy flow through my hands and the pen and out would come spiritual messages suddenly, information from akashic Records, and I was like “What is that suddenly? !”, like a sudden new psychic skill I did not have before. That began in 2006, and few months later in early 2007, I ran into Michael Jackson at a Santa Monica Sandwich Store. Once you have learned to master your twin soul dynamics, communication, exchange of love energy and light, you mastered your self. Once you mastered your self, you have mastered everything else. You can channel anything, through each other, to each other, beyond any boundaries of space and time! You can in an evolved State of Channeling with your Twin Flame become very extraordinarily psychic and master energy studies way above any “average psychic”. You can channel mentally, thoughts and ideas, meet consciously in Dreams (astrally no matter what physical distance at the moment), you can channel PHYSICALLY, and the seeming “boundaries” between you and your twin soul are so slight that you are literally one and all you got in skill, he/she can share and learn from fast, and mirror, and all he/she got in skill, you can share and learn from fast, and mirror. Think about it this way; If you have only one leg, you can only get this and that far in a particular time span needed too. If you have TWO LEGS, you can run, jump, and get further much faster and see more views and bend and DANCE. So, apply this now as a symbolic example only to the spiritual Truth of the COMPLETE SOUL, Male and Female Counterparts merged into a Unit. If you have HALF A SOUL wandering around, you are “seeking”, searching, learning, wondering, reflecting. If you have a COMPLETE SOUL, you are wandering around, “knowing”, teaching, giving and observing, guiding. If you have ONE EYE, you see only certain angles and only this and that far and flexible. If you have TWO EYES, you see many more angles and perspectives, and more flexible and fast. Once you have begun merging with your Twin Soul, meaning completing your Soul with your eternal Partner and Counterpart, both have “Twin Flame Metamorphosis Signs”- and I mean PHYSICAL AND IN APPEARANCE TOO! This Project is a unique Spiritual and biological, scientific Documentary on Michael Jackson´s famous Appearance Changes. The Appearance Changes began only after 1982, when his so-called “Twin Soul” was born. Michael Jackson proved publicly his extraordinary intuitive, yes, psychic skills within his Artistic works and that is an Aspect of the King of Pop that needs to be revealed more for his historic Legacy. There are still Questions unanswered regarding his Plastic Surgery, why he behaved the way he did and his much debated “androgynous Looks and Style” over the Years. This Documentary Film Project is unique, as it involves Michael´s personal Perspective combined with his Twin Soul´s Perspective. His Twin Soul happens to be an educated Film Director and will direct from within the Twin Soul Mind this never-before done Approach to a Film Documentary. At the moment, we are still in the pre-planning phase, gathering together the extensive material and information for the Project, and will be discussing this and more Projects through our Lawyers with the Michael Jackson Estate. The Goal of our Legacy Movement finally, is to elevate Michael Jackson as the Archangel Michael of Entertainment and Pop Music, and continue in his manner and fashion worldwide Projects in the Name and Brand of Michael Jackson. The King of Pop´s Legacy is not temporary, but eternal, and needs to be managed that way. Michael Jackson was very intuitive and psychic, and applied this spiritual skill within his Songwriting and Artistic Works, including his Face and Appearance, Fashion Style and personal Evolution. This Project aims to deliver the Public proof in form of a Documentary with all details, showing Michael Jackson´s extraordinary psychic Songwriting skills and more. Please enjoy the educational Images and Photo Analysis, Insights into Special Articles published and more in this Introduction Video. The Photos are only an Introduction to the biological Truth of Twins, born by different parents, and showing biological, physically visible and transforming traits in common. 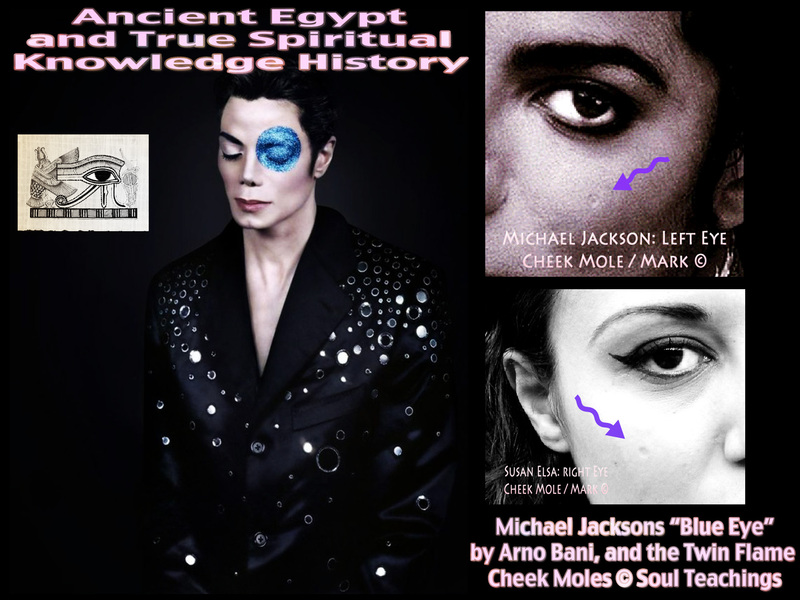 Through Science, the Twin Soul Metamorphosis of Michael Jackson can be proven, and we are working intensively on this Science Documentation as well. It explains all his Changes, and reveals in a unique, never before seen way the truth of Michael Jackson´s Motivation, Expressions and Changes on a personal Soul Level. 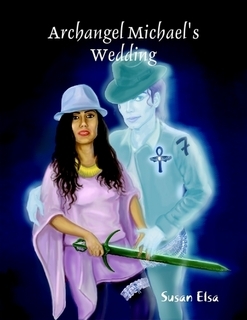 The deepest proof possible for Michael Jackson´s Heterosexuality and Innocence is contained within this personal Documentary on the Man and Soul beyond the work. The following Introduction Video is a Planning and Draft Material of Film Director & Cinematographer Susan Elsa, and Michael Jackson in Spirit/Archangel Michael, and contains personal Data and biological, scientific Records Information for public Insight and Education Only. This is it for today, enjoy a Happy Weekend!